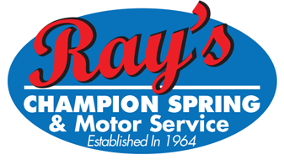 If you’ve got car problems, Ray's Champion Spring & Motor Service, Inc. has a solution. Our full-service shop offers professional car repair in Fort Worth, TX, to keep your vehicle running right and get you back on the road after a malfunction. Turn to us for everything from routine maintenance to extensive engine work, and we’ll make sure you never need to make another stop to get quality service from qualified mechanics. We cover virtually every make and model, from compact cars to motor homes. Plus, we keep an extensive inventory of parts on-hand at our expansive facility, meaning that you spend less time waiting on shipping when you need a replacement. Get the help you need without delay--call Ray’s for any auto issue. We do more than solve existing problems. With our car tune-up and maintenance services, you can prevent them before they ever happen. This gives you more peace of mind and often leads to less spending on costly repairs down the line. Whether you’re making a family road trip or your daily commute, we deliver a level of service that gives you ongoing confidence for your drive. Even if you haven’t noticed anything odd about the way your vehicle operates, don’t hesitate to schedule an appointment with us for regular upkeep. Our mechanics work to make sure you’re never caught off-guard by a hidden issue or left waiting for the work you need longer than necessary. Even the most robust vehicles need occasional fluid changes to keep working smoothly. We make this often-tedious process as streamlined and stress-free as possible. Because our team has more than 50 years of experience to rely on, we know how to handle an oil change service in any car. Not only that, but we also have the skills and insight to recognize any engine issues we might come across in the process. If we do find something, you won’t have to go somewhere else to get it fixed--we’ll simply contact you to explain, answer questions, and provide a solution with your approval. Trust your car repair team with your next oil service, as well as any other auto need. Contact us today to schedule an auto service appointment. We proudly serve Fort Worth, TX, as well as the surrounding areas.